Thanks to the pristine and rugged nature of Hobart’s surrounds, including Mt. 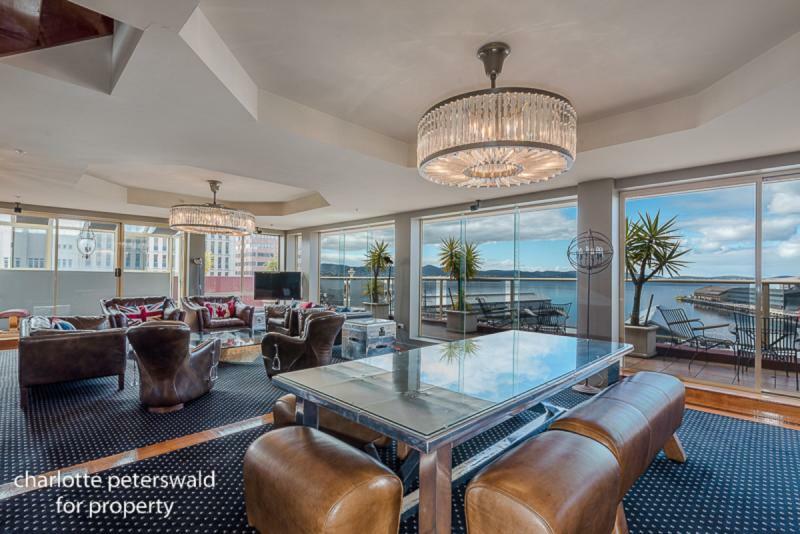 Wellington and the Derwent River, Hobart real estate is quite often luxurious simply by association. Looking at these Top 5 Luxurious homes, however, shows that there is still a strong taste for the opulent, the sleek and the elegant within this old city. With prices a little more competitive in Hobart, there is hope for us all, yet. A family home for a family who likes to live large, this 4-bedroom property is situated high in the hills overlooking Hobart and the Derwent River, while still only a 10-minute drive to the city centre. 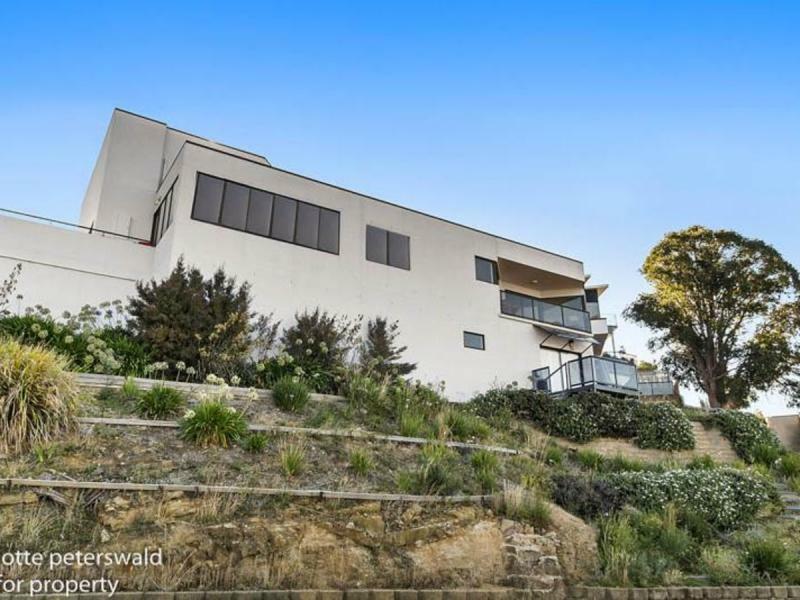 Take note of the polished concrete flooring, spacious and light-filled living areas, insanely beautiful views, large kitchen and entertainment areas, and then decide when and how you are going to move to Hobart in time to get a hold of this house. There aren’t many better locations in Australia, let alone in Hobart, than where this renovated traditional cottage is situated. From the street, the home looks quaint and simple, and it really is quaint and simple, until you walk through to the extension, a clear representation of the build’s designers Maria Gigney Architects, that rises into the air towards the water. 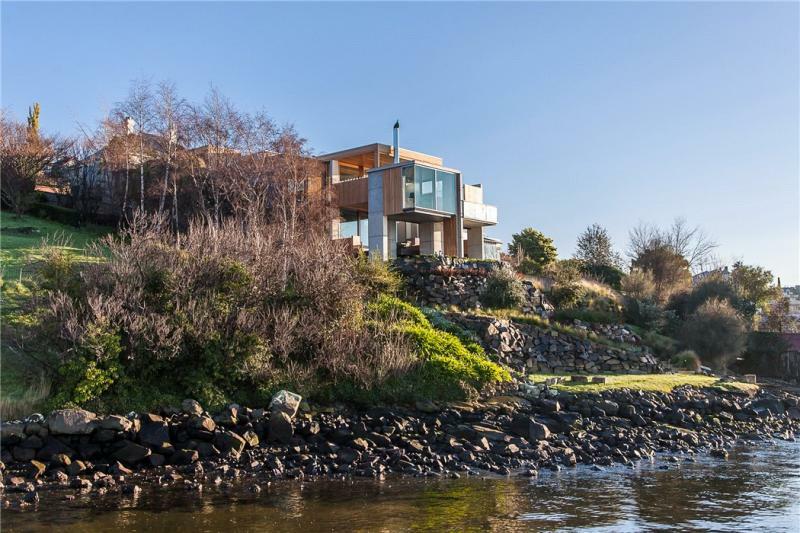 While taste is subjective, this must be the most beautiful home being sold in Hobart today and must have some of the most beautiful views in Australia. 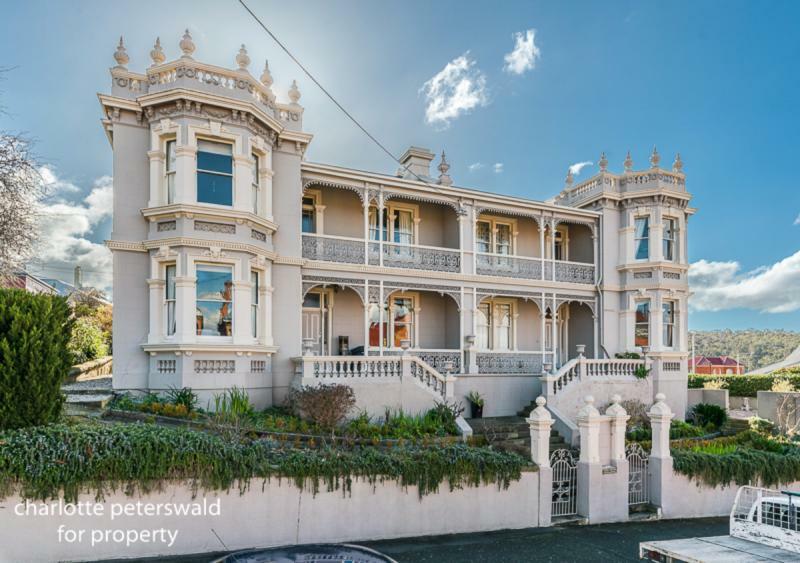 If we are talking about classic luxury than we can’t go past this castle of a home situated just north of the Hobart CBD. The heritage of the Victorian building is respected and celebrated throughout its renovations, with mouldings, ironwork and mantelpieces enforcing just how important textures and visuals are in creating a feeling of luxury. The fireplace in the old building’s sitting room screams a rainy Sunday with a book, while the airy, light-filled rear expansion completely opens the house up and creates a duality of living experiences for the lucky owners of this home. The cushions may not be your thing but this centrally-located 4-bedroom penthouse apartment is perfect for those who want to step out the door and have access to Hobart’s vibrant food, drinks and arts scene. Spread over two levels, floor-to-ceiling glass windows and doors allow light to flood and, making this one of the most sought-after homes for sale in Hobart. 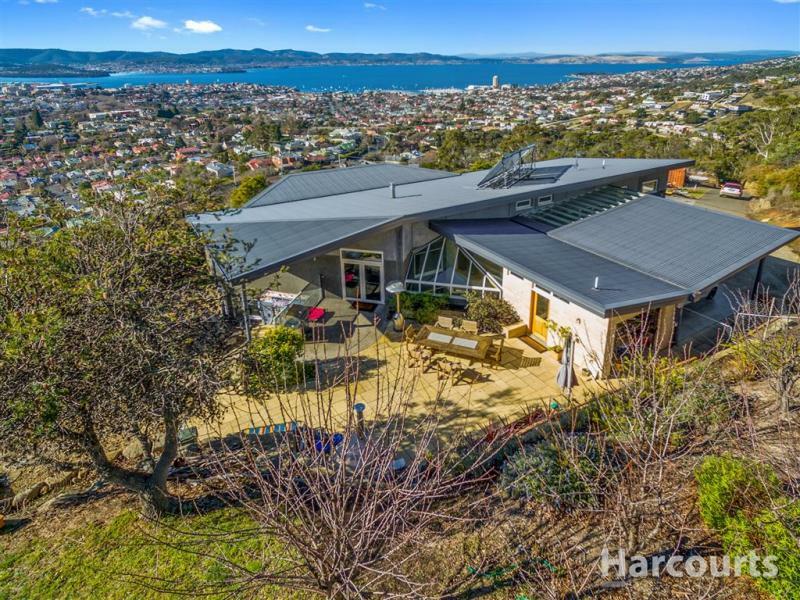 As seems to be a common theme with these Hobart homes, views, lots of space and plenty of light seem to define what people in this southern state see as luxurious. Saunas are usually cloistered and claustrophobic extravagances, yet the sauna in this 5-bedroom family home, sold by Charlotte Peterswald, is anything but that as it boasts views that most people can only dream of. Hinting at the International Style, the design of this home is made to impress, while being comfortable and welcoming for its owners.